Norwegian Cruise Line’s Norwegian Encore will be the fourth and final ship in the wildly successful Breakaway Plus Class. 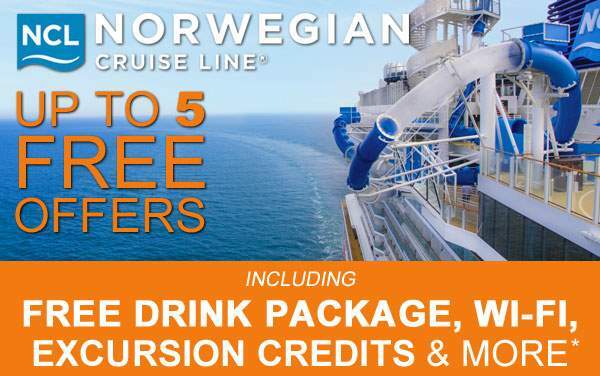 Like her sister ships, Norwegian Joy, Norwegian Escape and Norwegian Bliss, Norwegian Encore will deliver the same excellent cruising experience guests have come to expect from Norwegian Cruise Line. 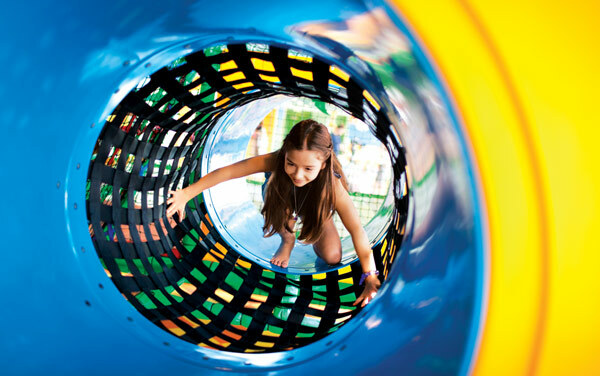 Whether it’s one person treating themselves to a solo cruise or the entire family taking an annual vacation, Norwegian Encore will have the perfect accommodations for everyone. 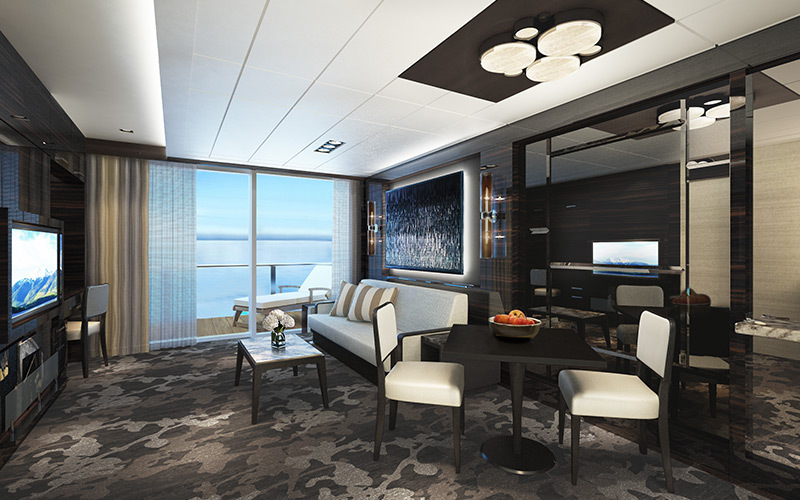 From the spacious and luxurious Haven suites and breezy balconies, to cozy inside rooms or studio rooms ideal for solo travelers; you will sail in total comfort on Norwegian Encore. 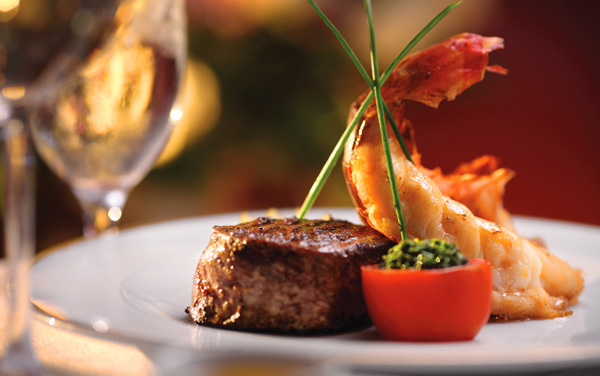 Plus, of course Norwegian Encore will have the same level of entertainment, cuisine and comfort as her sister ships. 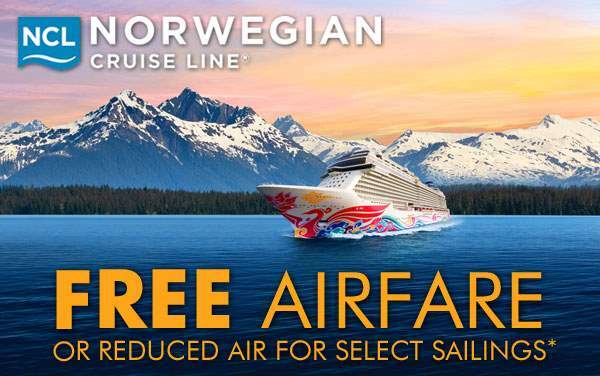 With Norwegian Cruise Line’s signature Freestyle Cruising, you decide what you want to do, and when you want to do it. You will be able to tailor your cruise on Norwegian Encore to be exactly what you want it to be. What more could you want? 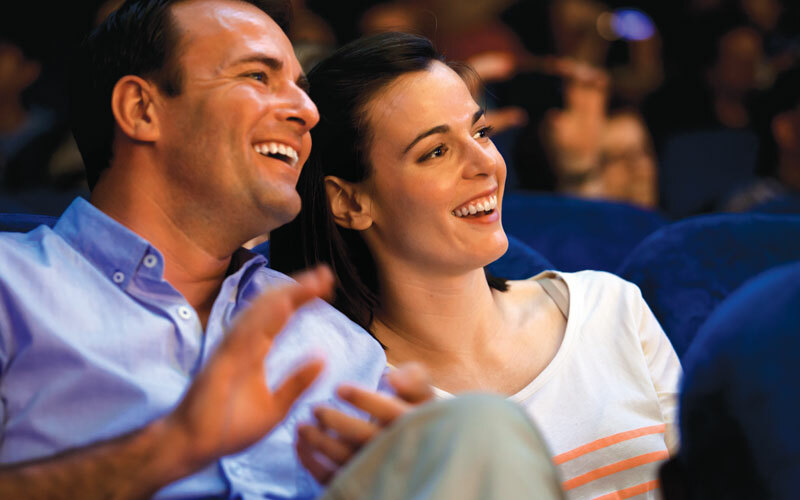 To learn more about Norwegian Encore, contact The Cruise Web today at 1-800-377-9383. 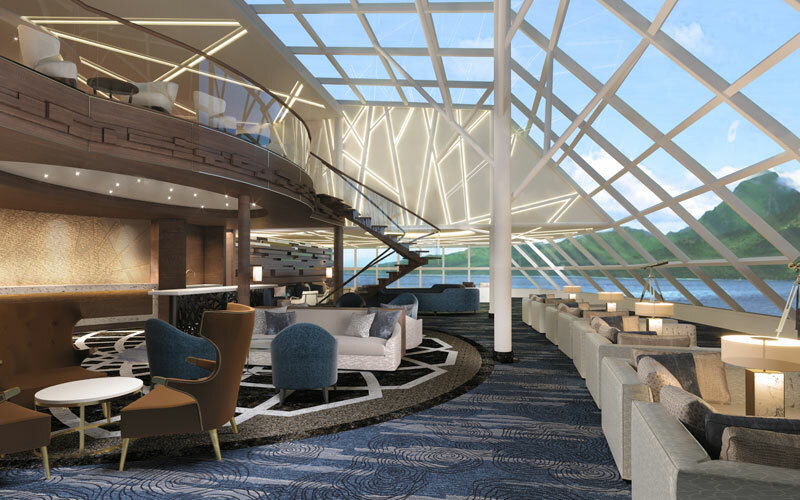 Norwegian Encore will bring the same level of comfort, style and sophistication as her sister ships. For guests looking for total luxury, The Haven is the perfect option as it features the most luxurious accommodations along with a 24-hour butler service, concierge service and a private sundeck. If you’re looking for total relaxation, a Spa stateroom will be perfect for you. 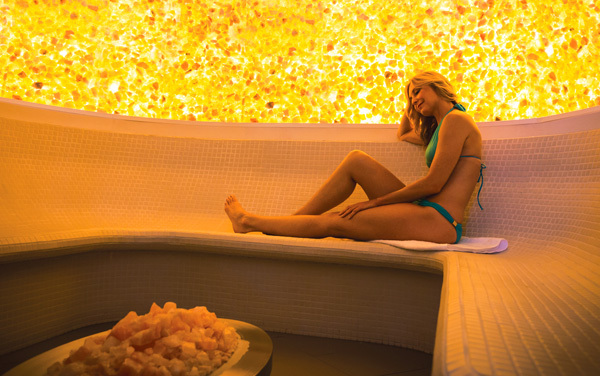 Whether you choose The Haven Spa Suite, Spa Mini-Suite or Spa Balcony, you’ll enjoy being pampered at sea with easy access to the Spa and Fitness Center, as well as complimentary access to the Thermal Spa Suites. Plus, a range of balcony, oceanview, inside and studio staterooms provide something to fit all different budgets. You go on vacation to relax and unwind, and you won’t have any issue doing just that aboard Norwegian Encore. 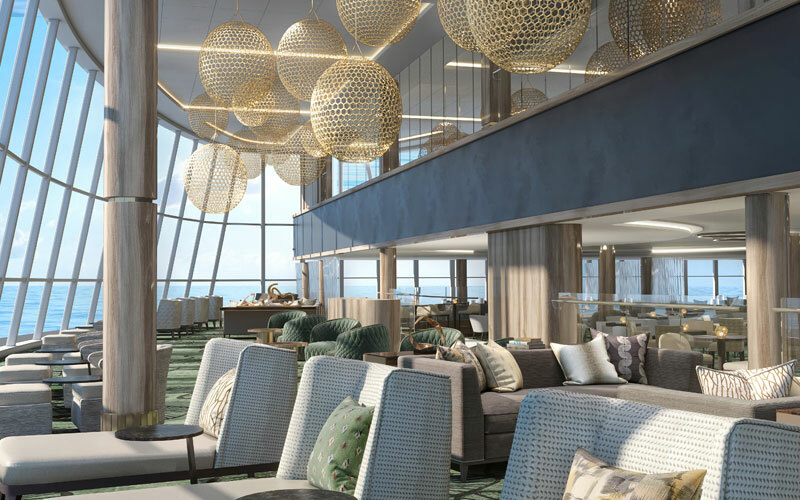 The Horizon Lounge is exclusive to guests staying in The Haven staterooms, which gives you the opportunity to relax with your favorite cocktail, a bite to eat and breathtaking panoramic views of the sea. 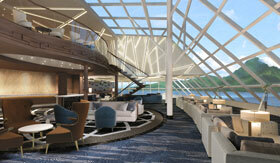 Another great place to relax with a good drink is the Observation Lounge. Here you’ll enjoy your signature drink while admiring the spectacular views through floor-to-ceiling windows. 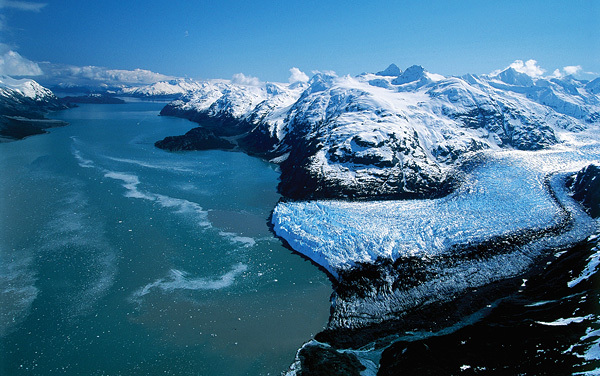 The scenic beauty of an Alaska cruise will brighten your spirit—from breeching whales to snow-capped peaks. 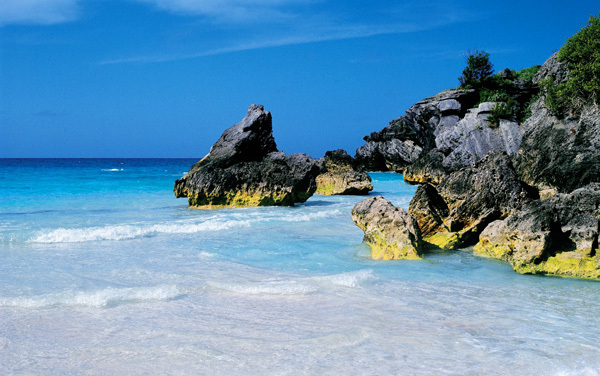 Luxurious tropical days can be spent on the white-sand beaches or on the links during your Bermuda cruise. Colonial. Clam Chowder. 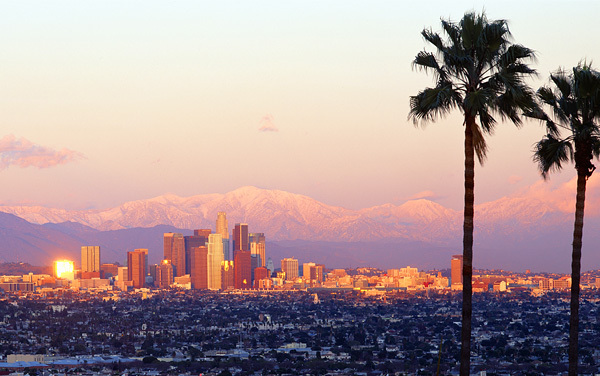 Colorful Vistas. 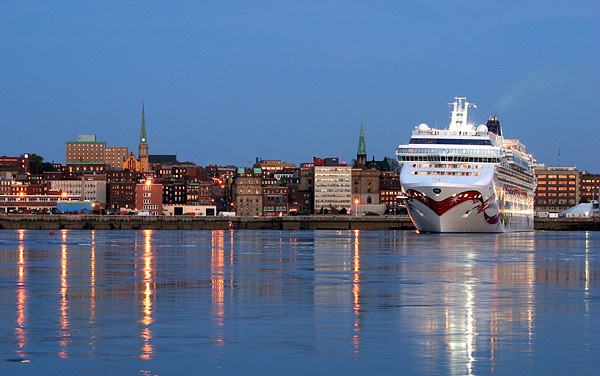 Cruise to Canada and New England for all of this and more. 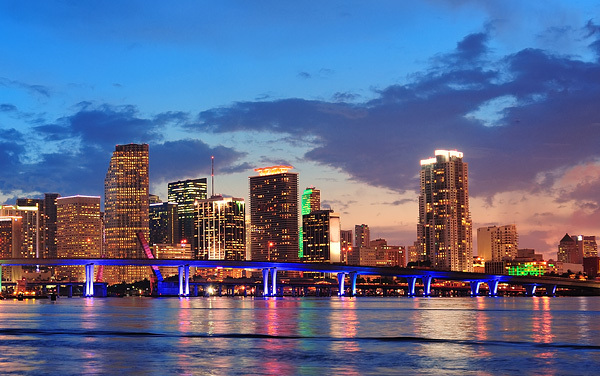 Water sports and intriguing tropical ports highlight the Caribbean region. 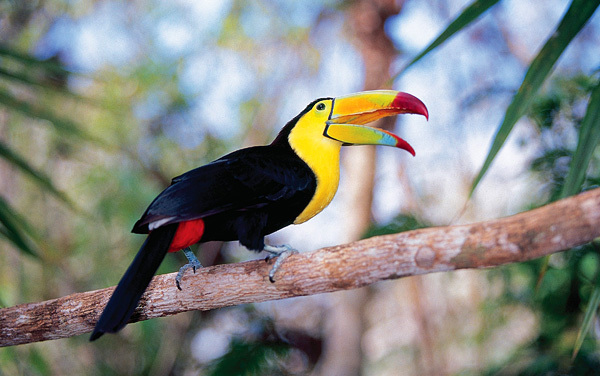 Experience the overwhelming sight of the Panama Canal and its surrounding attractions for your next cruise. 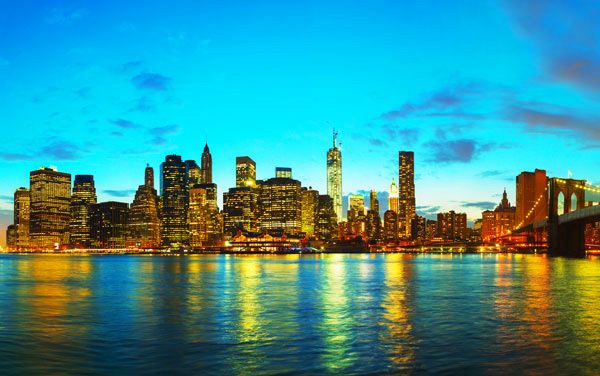 Coast to coast, port to port, the Grand Atlantic will astound you with its beauty and intriguing stops along the way during a Transatlantic cruise. 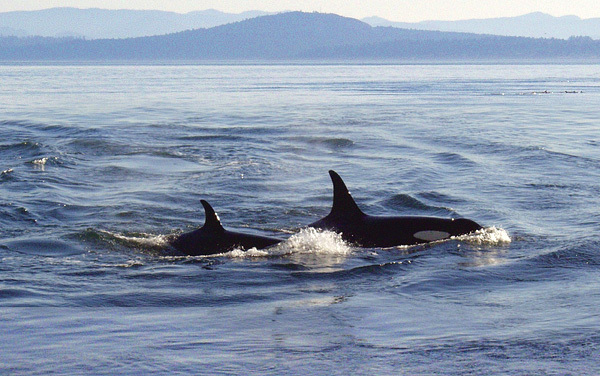 Invigorate yourself with the wineries and wonders of the U.S. West Coast with a Pacific Coastal cruise. These staterooms include two lower beds that convert to a queen-size bed and are aft-facing, so the view from your private balcony is amazing. Accommodates 2-3. A Sail Away Balcony stateroom guarantees a Balcony stateroom or better! Please note that the view from your balcony may be fully obstructed or partially obstructed. 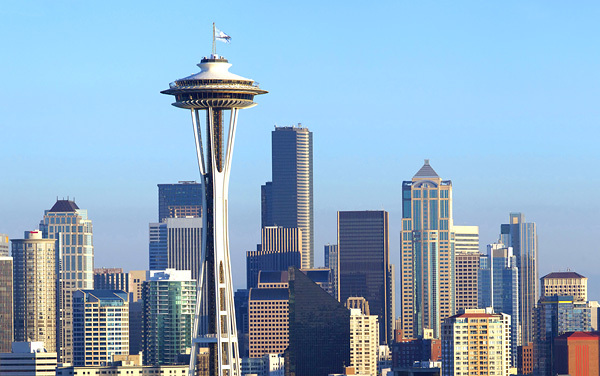 Your stateroom may be on any deck and assigned up to one day prior to embarkation. Accommodates 3. Take in breathtaking forward-facing views. These Penthouses have access to The Haven and feature a king-size bed plus dining and sitting areas. Accommodates 3-4. The Spa Balcony staterooms feature tranquil spa decor and include two lower beds that convert to a queen-size bed, a single sofa bed, easy access to the adjacent Mandara Spa and fitness center, as well as complimentary access to the Thermal Suite during regular Spa hours. The Spa Balcony staterooms feature tranquil spa decor and include two lower beds that convert to a queen-size bed, a single sofa bed, easy access to the adjacent Mandara Spa and fitness center, as well as complimentary access to the Thermal Suite during regular Spa hours. Accommodates 3. These Penthouses are located in The Haven and include a king-size bed and single sofabed, plus a private balcony with a fantastic view. Accommodates 3. With access to The Haven, these Penthouses feature a king-size bed plus dining and sitting areas. 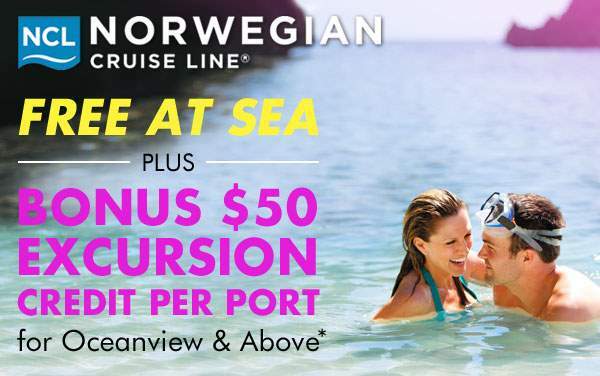 They offer unforgettable aft-facing views. Accommodates 4. A Sail Away Inside stateroom guarantees an Inside stateroom or better! 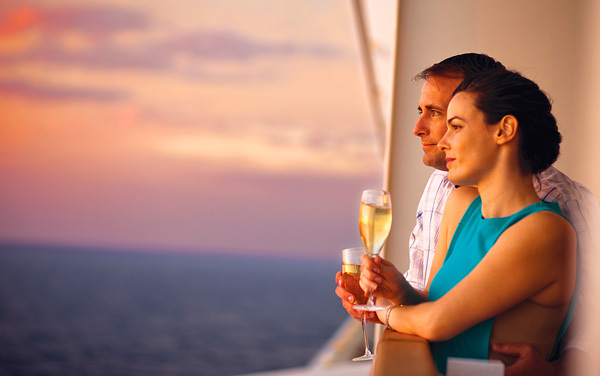 Your stateroom may be on any deck and assigned between time of booking up to one day prior to embarkation. Accommodates 3-4. 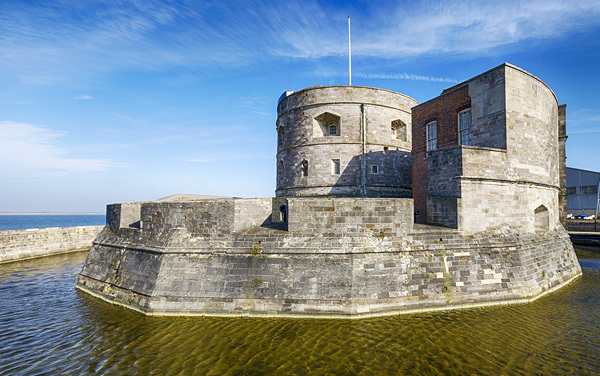 An affordable family option, these staterooms include two lower beds that convert to a queen-size bed and two pullman beds. Accommodates 4. Located on higher decks near the fun, these staterooms feature two lower beds that convert to a queen-size bed and some feature additional bedding for up to one guest. Some connect. Accommodates 2-3. Private keycard access complex comprised of staterooms specifically designed and priced for the solo traveler. Featuring a full-size bed, a one-way window to the corridor, and separate areas for your bathroom, sink and shower, in 100 square feet of living space. Includes access to the private Studio Lounge. No single supplement required. Accommodates 1. Private keycard access complex comprised of staterooms specifically designed and priced for the solo traveler. Featuring a full-size bed, a virtual window and separate areas for your bathroom, sink and shower. Includes access to the private Studio Lounge. No single supplement required. These staterooms include two lower beds that convert to a queen-size bed. Accommodates 2-3. A Sail Away Oceanview stateroom guarantees an Oceanview stateroom or better! Please note that the view may be fully obstructed, partially obstructed, porthole or picture window. Your stateroom may be on any deck and assigned up to one day prior to embarkation. Accommodates 2. Enjoy a large picture window with amazing forward facing views and two single beds that convert to a queen. Accommodates 2. 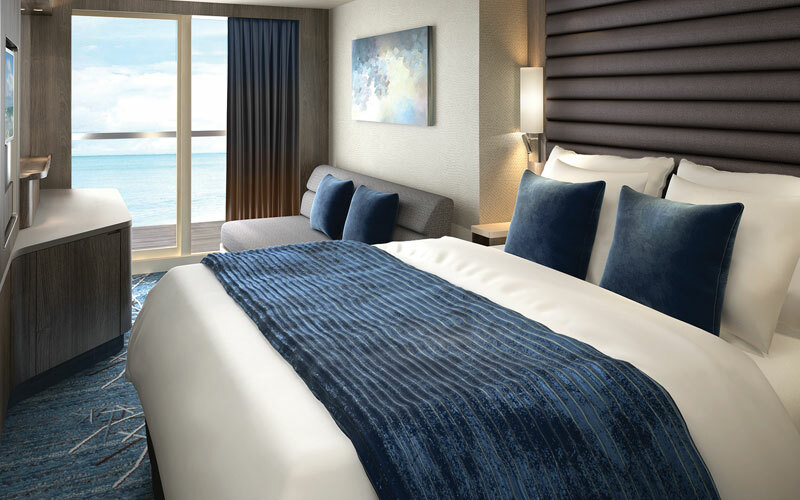 Located mid-ship and connecting with another oceanview stateroom, you will have easy access to everything and room to spread out. 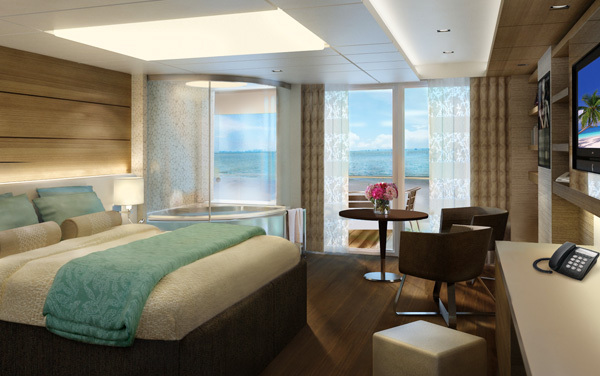 These staterooms feature a large picture window and two single beds that convert to a queen-size bed. Accommodates 5. Located mid-ship, you will have easy access to everything. 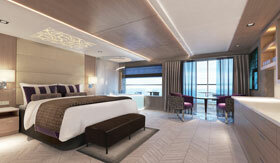 These staterooms feature a large picture window and two single beds that convert to a queen-size bed. Accommodates 2. Featuring two lower beds that convert to a queen, some include an additional pullman bed. With a private balcony, these Mini-suites also offer amazing views. Accommodates 2-4. Located in the Haven, these Suites offer amazing ocean views, a wet bar and spacious balconies. They include a king size bed, two bathrooms and additional bedding. Accommodates 6. Located mid-ship with easy access to everything, these Mini-Suites feature two lower beds that convert to a queen-size bed, some feature additional bedding, and a private balcony. Accommodates 2-4. 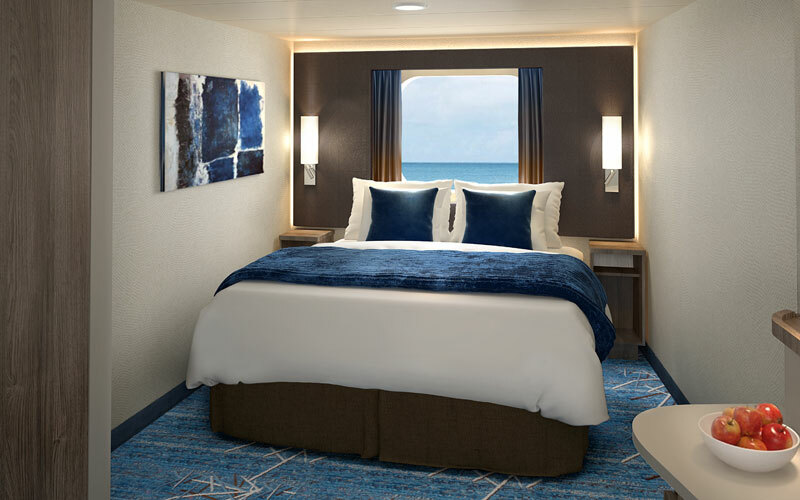 Perfect for groups or families traveling together, these staterooms connect to another mini-suite or balcony stateroom. Located mid-ship with easy access to everything, these Mini-Suites feature two lower beds that convert to a queen-size bed, sofa bed, some feature additional bedding, and a private balcony. Some connect with M8, others with B8. Accommodates 2-4. Perfect for the family, these Villas are located in The Haven and feature two bedrooms, one with a king-size bed, the other with a double sofa bed, plus additional bedding and two bathrooms. Accommodates 6. Spa Mini-Suites feature tranquil spa decor and include a queen-size bed, oversized waterfall shower and multiple body spray jets, easy access to the adjacent Mandara Spa and fitness center, as well as complimentary access to the Thermal Spa Suites during regular Spa hours. Accommodates 3-4. The perfect way to experience a total spa vacation, the Spa Suites include a king-size bed, hot tub, oversized waterfall shower and multiple body spray jets, spa dÃ©cor, easy access to the adjacent Mandara Spa and fitness center, as well as complimentary access to the Thermal Spa Suites during regular Spa hours. Access to The Haven. Accommodates 2. 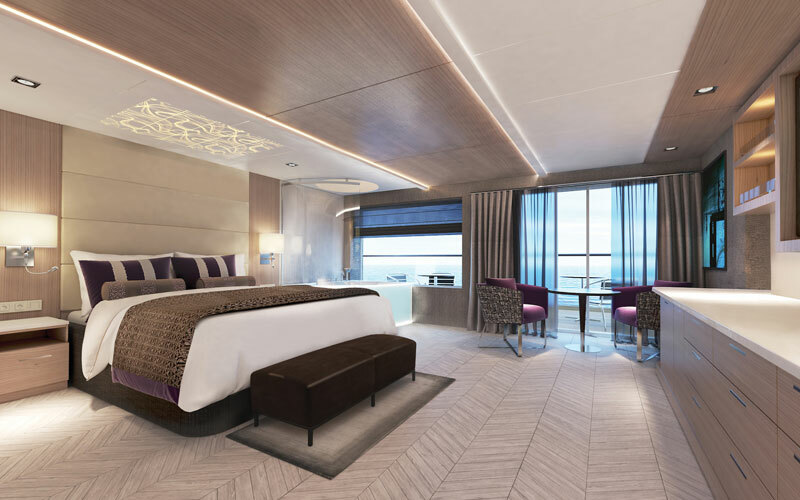 With forward facing views and connecting to a balcony stateroom these staterooms are the best way to experience the luxury and amenities of The Haven and bring the whole family along in an adjoining balcony stateroom. Accommodates 3-4.